Yet another innocent life was lost at the hands of rowdy matatu conductor last Sunday June 3rd. 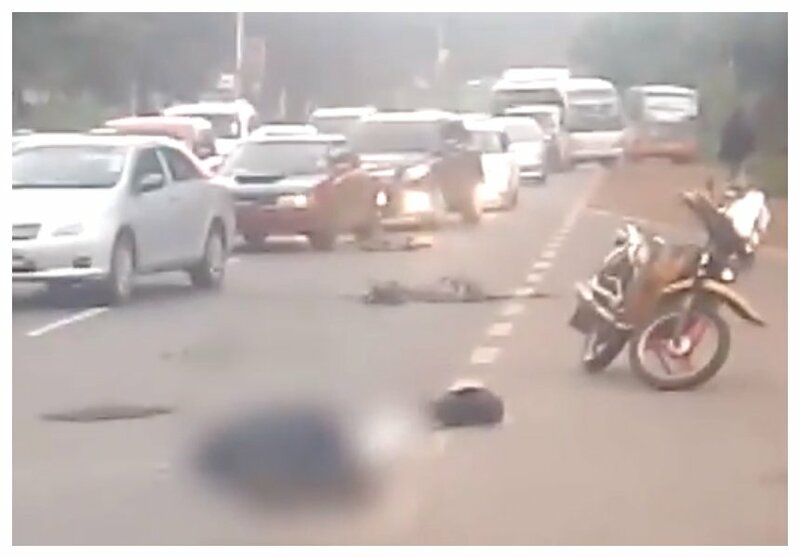 A matatu conductor pushed out a commuter from a moving bus killing him instantly. Incidents of matatu touts killing commuters and other motorists are not new. Last December 2017 former Maseno university student leader Joseph Kiarie Ng’ethe was beaten to death by touts. Last Sunday another death was caused by matatu tout on Waiyaki Way near Lion Place. A commuter was killed instantly after a tout pushed him out of a moving City Shuttle bus KBW 110E. Reports indicates that commuter had an argument with one of the conductors after he refused to add Kes 10 to what he had paid as bus fare. The man is said to have boarded the bus in Kangemi and was to alight at Safaricom, he paid 20 bob for the fare but the tout demanded that he pays 30 bob. The commuter was pushed out of the bus after a long argument with the tout, the same bus ran him over killing him instantly.